There are different kinds of journeys that we embark on. Some journeys require a lot of work for planning and execution. Some will demand our energy and keen attention. However, there is a third kind of tourist destination, where you neither need physical or mental exertion. You can just float around the place like a cloud and yet feel quite refreshed and content at heart. When I think of Puducherry(Pondicherry), it fits to that third kind of place. 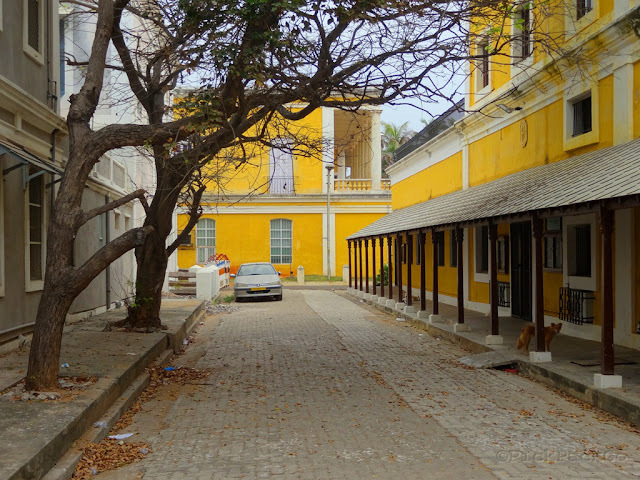 Pondicherry is more like an old man, sleeping in his hammock on the seashore. Nothing bothers him! 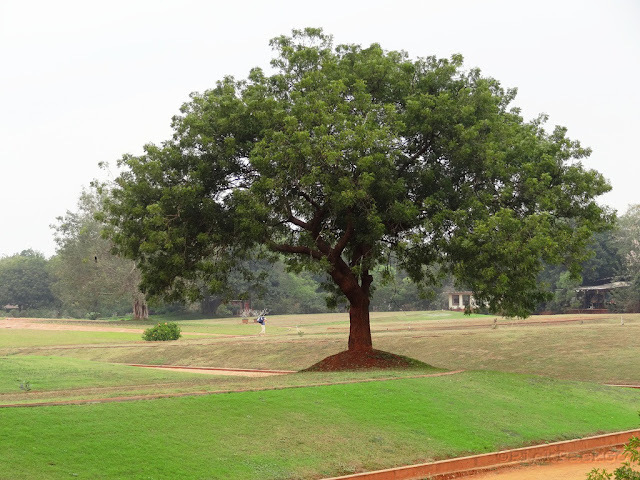 It is a clean and quite city, which was blessed with the presence of great spiritual Gurus like Sri Aurobindo. 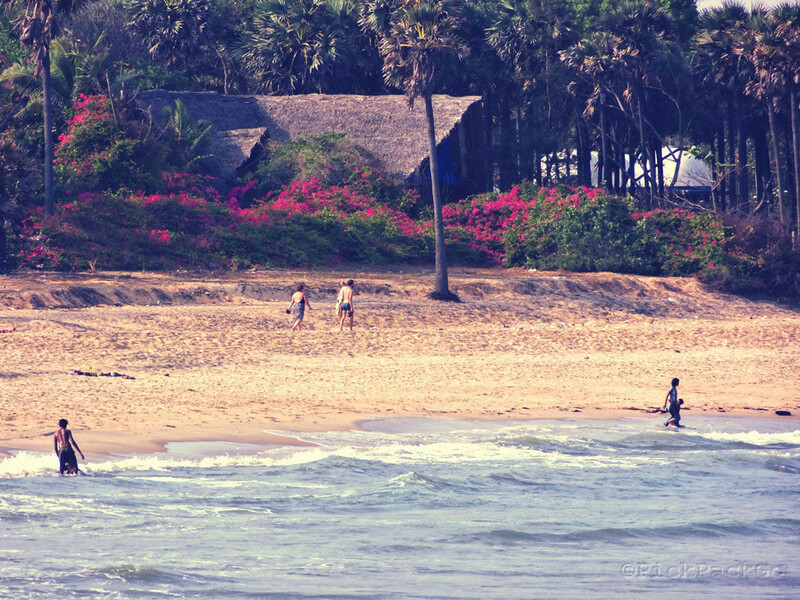 Pondicherry also has some of the best beaches that I ever have been. 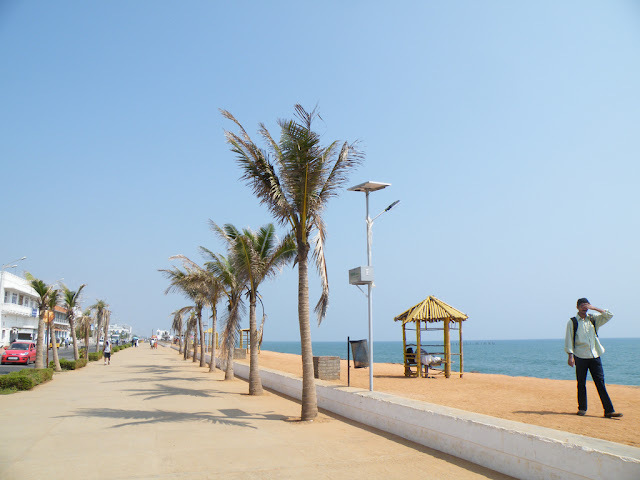 I visited Pondy( I love to call it so..) in last February. The best season to visit is around November to February. From March to July it would be quite hot where temperature sores up to 36 degrees. We started our trip with Auroville and ended at the beautiful and serene Bodhi beach (Serenity beach). 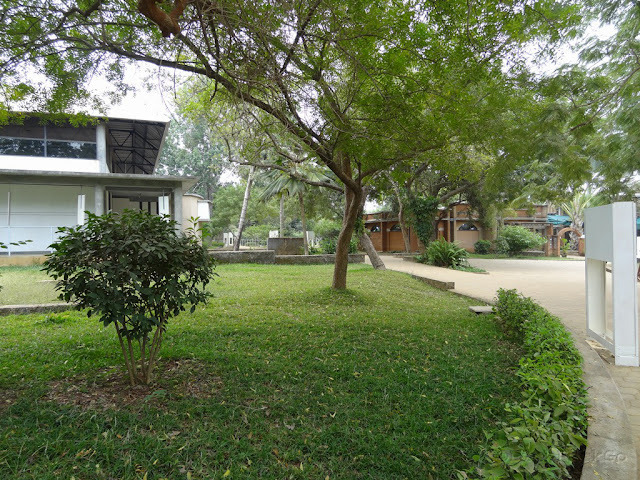 Auroville is a global village, which was established in 1968 by Mirra Alfassa. Mirra Alfassa was a spiritual collaborator and follower of Sri Aurobindo. Auroville is located at 12km north of Pondicherry. 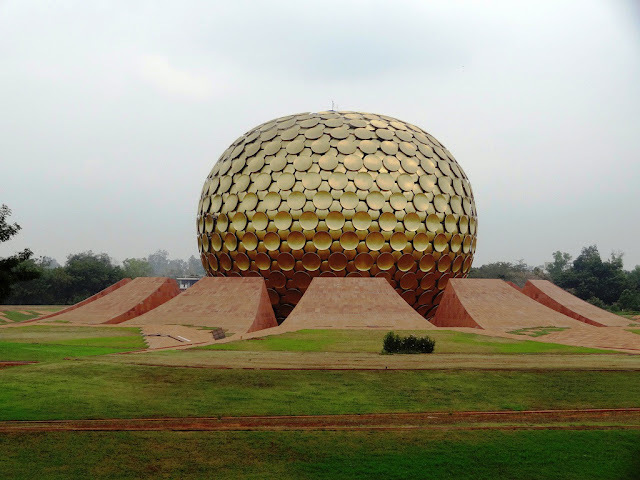 People from 50 different nationalities lives in Auroville making it a truly global human settlement. As you enter Auroville, you don’t find noisy crowd of tourists, but people who are calm and silent, enjoying the few moments they get to spend quietly in an otherwise busy life. 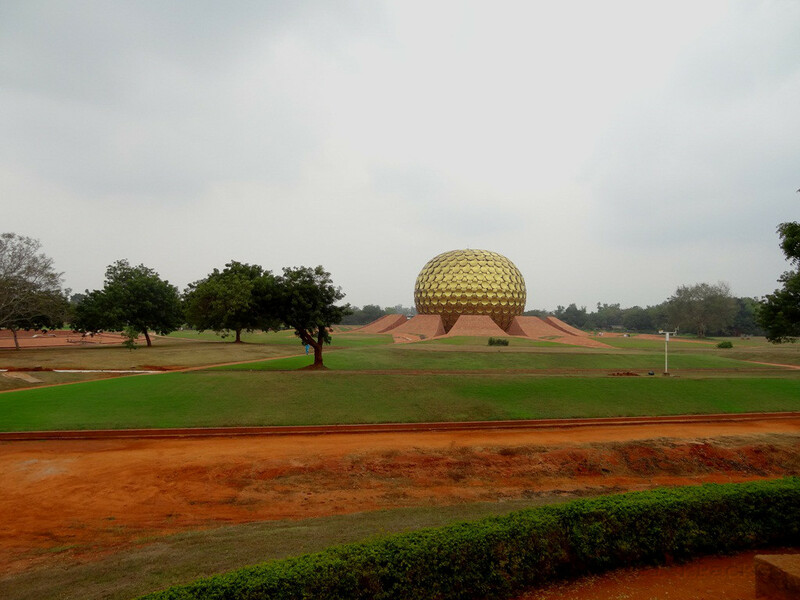 The main attraction of the Auroville is the Matrumandir. 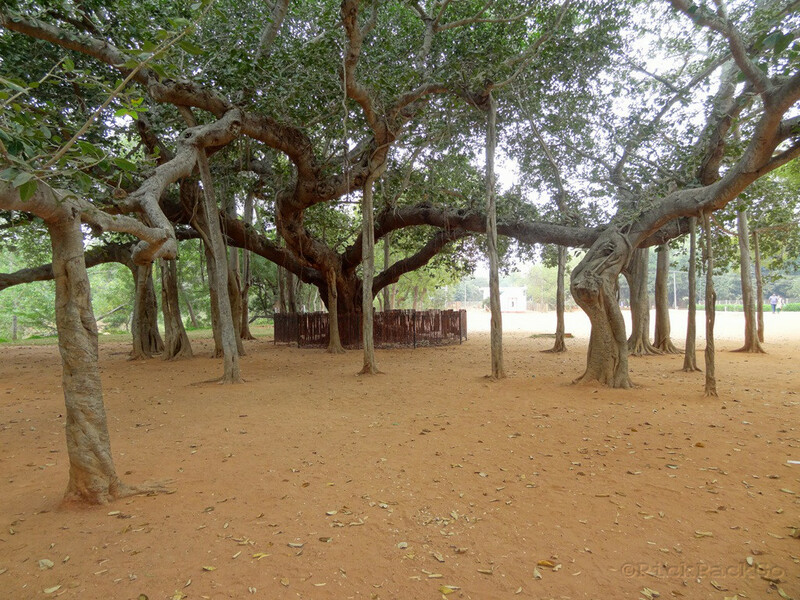 It is a glob shaped central meditation facility in Auroville. Getting an entry into Matrumandir is not so easy. One has to collect the entry pass two or three days prior to the expected date of visit, that too in person! This is to ensure that only those who are keen of meditating inside the Matrumandir would ever enter it. 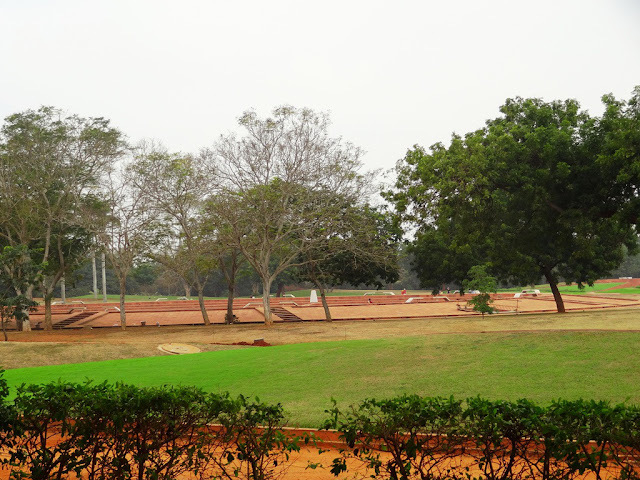 However, one can enter Auroville any time and have a look at Matrumandir from a distance. 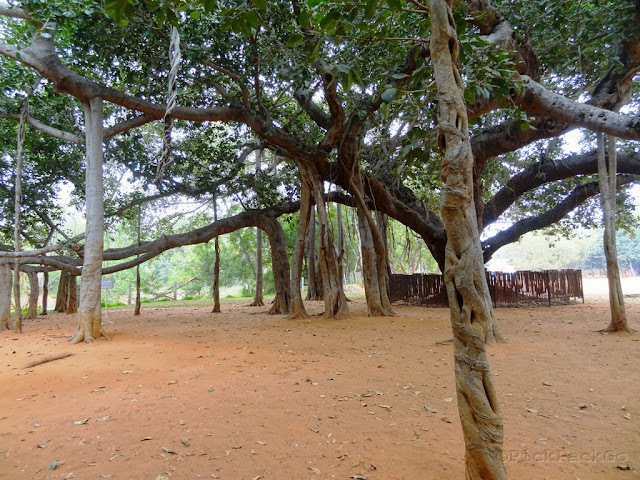 I too did not get an entry pass into Matrumandir; however I quite enjoyed the beautiful walkways and the huge Bodhi tree at the place. 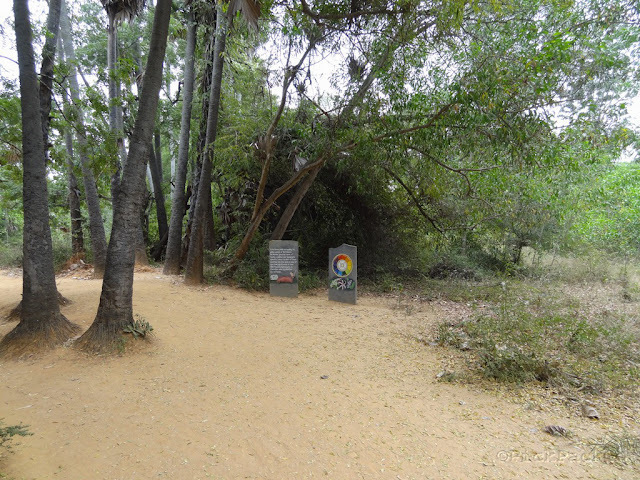 From the entrance of Auroville there are buses leading near to Matrumandir, however if you like you walk there, which is hardly 10-15 minutes’ walk. 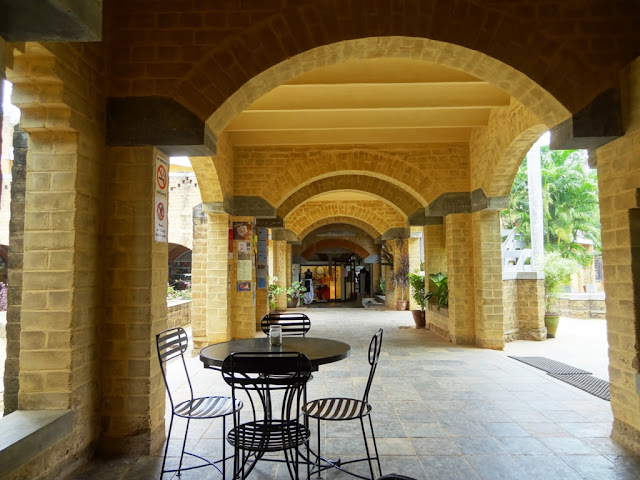 There are ample spaces in Auroville to have lunch or snacks. 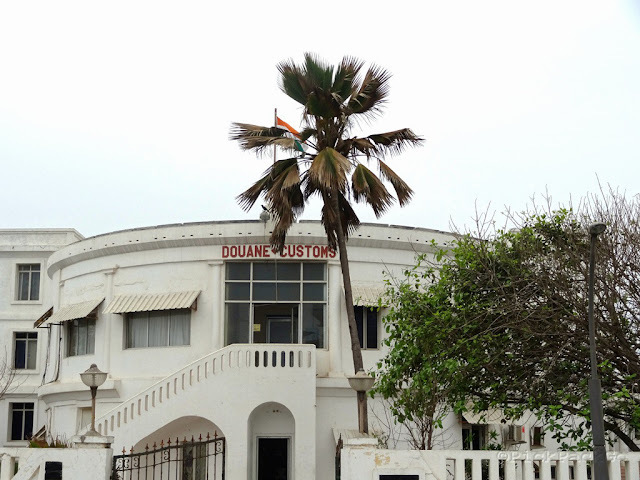 There are also shops which sell souvenirs, hand crafted jewelry, cloths and incense sticks. I found them overpriced; hence I only bought an Auroville calendar as a memoir for our visit. 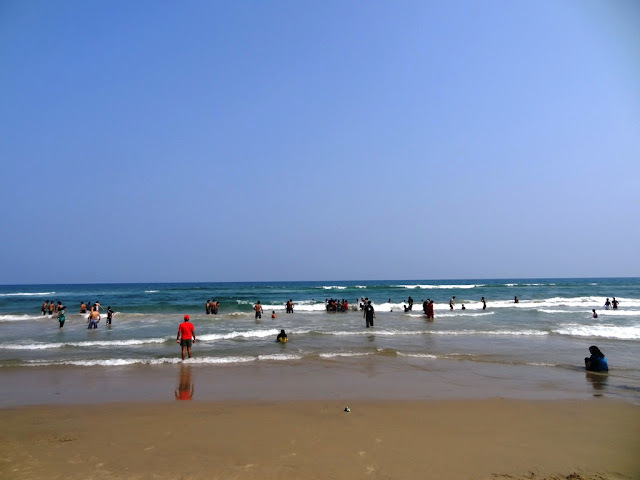 The paradise beach has a specialty that no other beaches I visited had. 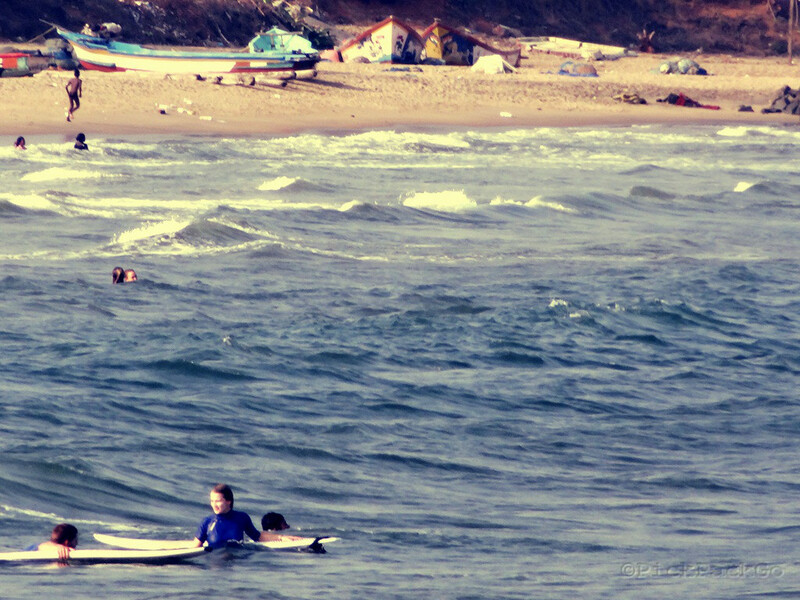 The beach is entirely located on an island and there is a beautiful long boat journey to reach the beach! The Paradise beach is situated around 7km from Pondicherry and can be reached either via a ferry from Chunnambar boat house or via road but only on a two wheeler. There are normal boats and speed boats which would take you to the island where the beach is located. We opted for the regular boat, which was a huge mistake. There was a long queue for the regular boat and even after all of us boarded on the boat, it did not start for an hour! On the other hand, the speed boats were costlier compared to the regular boats, but they were more frequent and there was no queue. 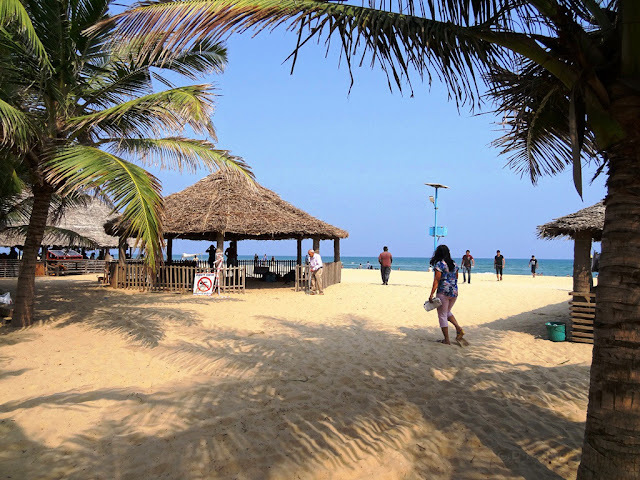 When you reach the Paradise island beach, you will be pleasantly surprised by the pure white sand, the tidy shore and the water so inviting that you can’t help but get in. Make sure you reach either in the morning times or around the evening, as there are not much trees on this island it can get quite hot. Also make sure you carry enough water and snacks as there are very few shops on the island and they too are overpriced. Its playtime at the Paradise beach!!! 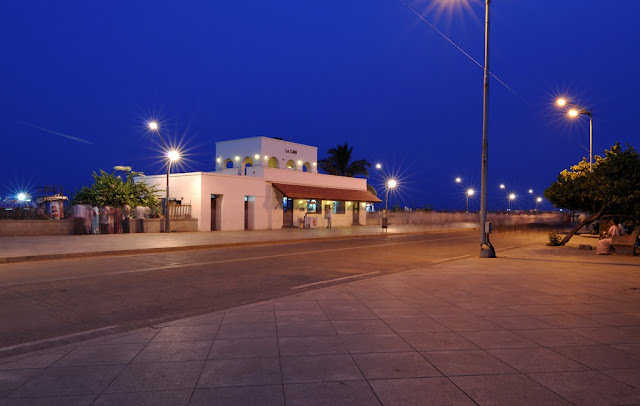 As we reached Pondicherry early evening from the Paradise beach, we decided to take a stroll across the city through the residential areas and the sea shore along the French quarters. "Puducherry Tamil house" by Flickr user Melanie-m - http://www.flickr.com/photos/melanie-m/2677014244/. Licensed under CC BY 2.0 via Wikimedia Commons. As we entered the city, we saw a large temple, which was "Arulmigu Manakula Vinayagar Temple". We entered the temple and there was a large crowd. The main thing that attracted me in the temple was the sculptures of Lord Ganesh in different postures all over the Surrounding walls of the central sanctum. As we reached outside the temple, there was a queer ritual going on. As it is a Lord Ganesh temple, who is in the form of an elephant, elephants are also considered holy. As it is a temple premise, I was against clicking a photo, however I found this in Wikipedia, where the elephant is giving blessing to a devotee. India indeed a rich country of diverse practices! I could see children quite enjoying this scene. After the temple we entered into the main boulevard of old Pondicherry - the “Promenade”. There was quite a crowd, enjoying the sunset. However the street was not crammed or noisy. We also had a look at “Le café – which was an old port house converted into a neat small café. We decided to visit it the next day morning for breakfast. 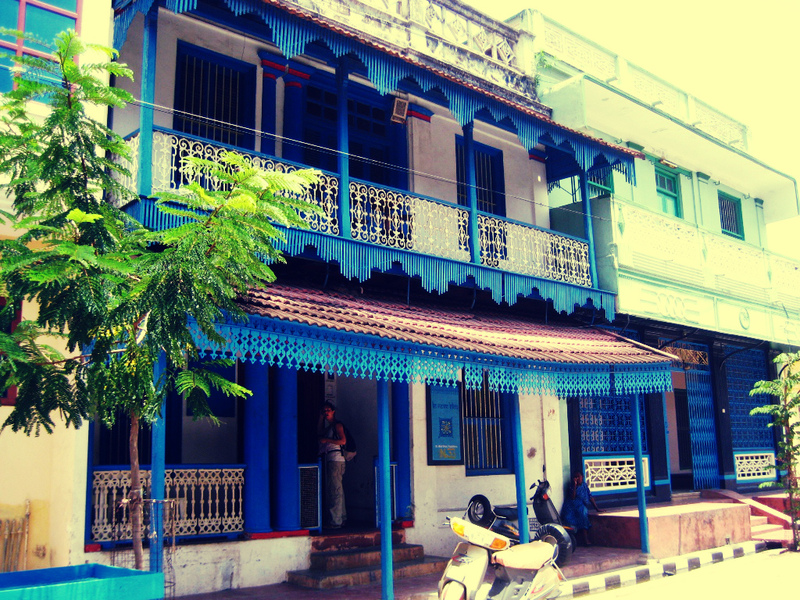 The first place we decided to on day 2 was the Aurobindo Ashram, which is located inside the Pondicherry old city. It was around 2km from our hotel and we got and auto for a reasonable price. As it was early in the morning, there was very less crowd. by Aravind Sivaraj - Own work. Licensed under CC BY-SA 3.0 via Wikimedia Commons. We can only click photos outside the Ashram, inside it is strictly prohibited. We entered the ashram barefooted. It is not a very big facility, however the atmosphere inside was quite striking. There was absolute silence! Inside the Ashram, you don’t need any effort to go into the meditative mood; you just have to sit there. A kind of silence and calmness covers you. We spend around half an hour in Ashram and the headed towards the incense store we spotted outside the Ashram. The incense store is named as Auroshikha. Auroshikha itself was a quite an experience. As the doors open, amalgams of sweet smells enter into your nostrils and explode in the brain. They have huge collection of agarbaties(incense sticks), scented candles, soaps and other souvenirs. The price is quite moderate and we bought a lot of items from Auroshikha. 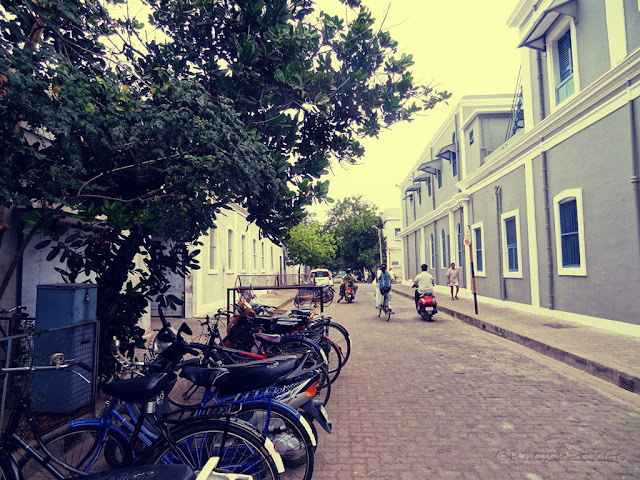 Around 10:00 am we exited the Aurobindo Ashram premises and we decided to take a stroll across the neat and wide streets of Pondicherry. Pondicherry still preserves the signs of the old French rule. We spotted this colorful building on the “rue de la marine” boulevard. The French windows and architecture was particularly striking. 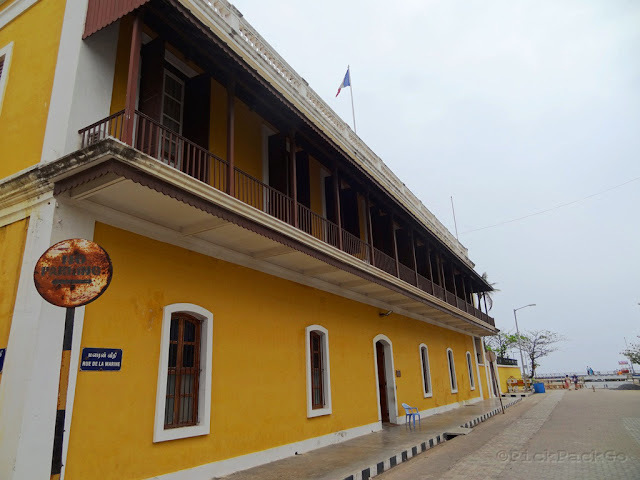 Later we came to know that it is the French consulate in Pondicherry. Very very French indeed! We kept walking towards the main street of French quarters, which is known as the “Promenade”. Our destination was “Le café”. We had a nice snack at the sea shore. 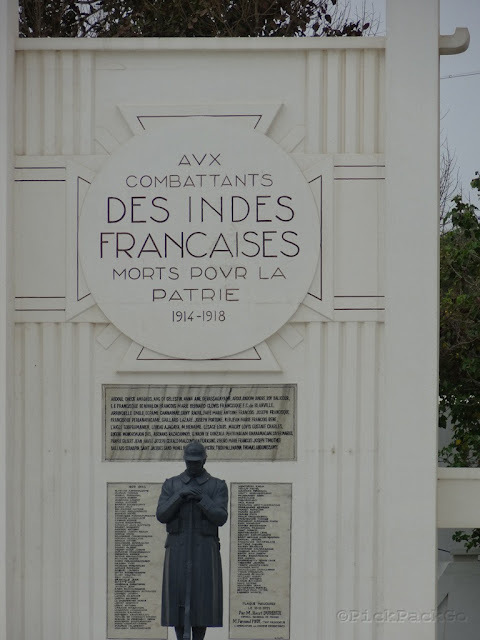 We continued walking through the Promenade and saw the customs office, the French war memorial and the Gandhi statue on the sea shore. by പ്രതീഷ് പ്രകാശ് - originally posted to Flickr as Rue de Bussy. Licensed under CC BY-SA 2.0 via Wikimedia Commons. 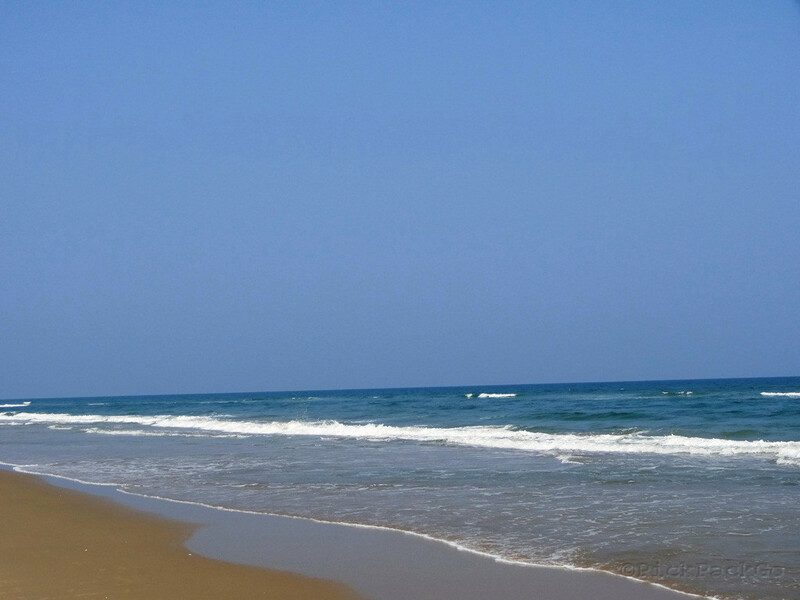 Bodhi beach is located at 9 km from Puducherry and it is not a very well-known destination. A friendly auto driver took us to the beach without charging a rupee extra. I have always been extremely lucky in finding such people, throughout my travels. We reached the beach around 3pm and we had couple of hours to spend there. The beach is tidy; however we didn’t get into the waters. 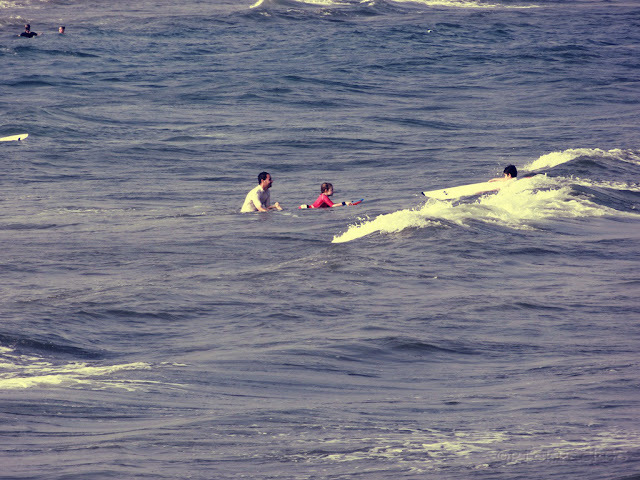 Instead, we sat on the beach wall and enjoyed the wind and watched those who were trying surfing. A particularly interesting sight was a father teaching his son how to surf. I came to know that there is an academy near Bodhi beach, which gives lessons of surfing. There is also a quiet café near the beach which is also named after the beach. We had some iced tea there and spent the evening looking at the ocean. Two hours later, we were on the bus, back to Bangalore. As I bid goodbye to Pondy, I knew that I would always fondly remember this place. I do so even after an year of my visit!